Zhang Tianai plays Ai Ruoman, a confident and successful career woman who doesn’t seem to have any luck with guys. Zhang Ruoyun plays her best friend of 15 years, a warm-hearted young man with no big aspirations. He loves cooking and gardening and has plenty of admirers, yet hasn’t dated a single person. At the age of 30, neither wants to be labelled a leftover, and the two eventually realise that they are the best match for one another. Xu Weizhou is also billed as a leading actor, and it seems like he’ll be playing the heroine’s ex-boyfriend. He Hongshan (Above the Clouds, web drama Back in Time), Zhao Dongze (Glory of Tang Dynasty) and Zhang Lingxin (The First Half Of My Life) costar. The original drama starring Ariel Lin and Chen Bolin was a commercial and critical hit, and both of them received accolades at the Golden Bell Awards. I’m probably part of the minority here, but I detested Cheng Youqing and Li Daren, so actually wouldn’t mind if the Mainland version decides to change up the character’s personalities. The 45 episode drama is directed by An Zhujian (Go Lala Go! 2) and scripted by new writer Baoqing (Meet Miss Anxiety). 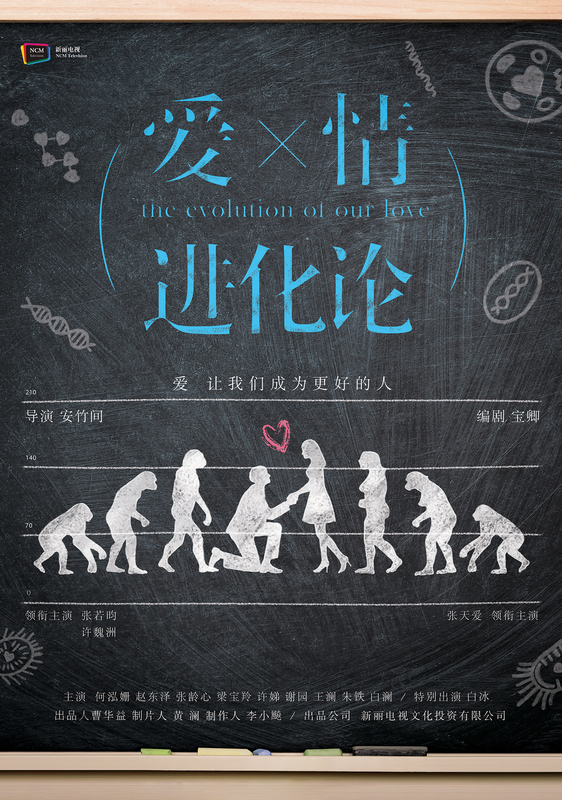 This entry was posted in Drama, Mainland China and tagged He Hongshan, The Evolution of Our Love, Xu Weizhou, Zhang Ruoyun, Zhang Tian'ai by XDramasX. Bookmark the permalink. In Time With You turned out to be one of my top few favourite taiwanese dramas so I’m definitely looking forward to this. I found the Korean remake to be pretty meh but I like both main leads here so I’m really anticipating it. I can already imagine the two as Cheng Youqing (whose character I loved) and Li Daren (…whom was borderline creepy if you think hard about it). Anyway, Zhang Ruoyun looks so good cooking (as seen in Diva Hits the Road 3) so I’m pretty sure this drama will be an eyeful too. PS: Zhang Ruoyun and Tang Yixin (whom I found really pretty from Legend of Zhen Huan) officially announced that they are dating recently. I’m really happy for them so I’ll send some blessings their way here too. Hopefully we’ll be hearing wedding bells soon! You are correct. You are part of the minority. The Taiwanese version of “In Time with You” is THE BEST, and no one can ever be able replicate its flawlessness. One of my favorite show of all time. While I like the actors from the mainland version, it will be hard to top the original where the acting and the script was just spot on. I cried and laughed; and the OST is still on my most played list.